Dress your home with Frank Lloyd Wright house numbers. He designed this font for his exhibition drawings. 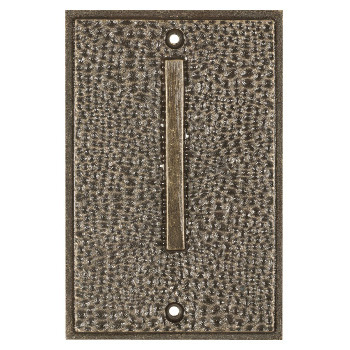 6 1/2" high and 4 1/4" wide, cast in a zinc alloy with a bronze hammered finish. Hanging screws included.